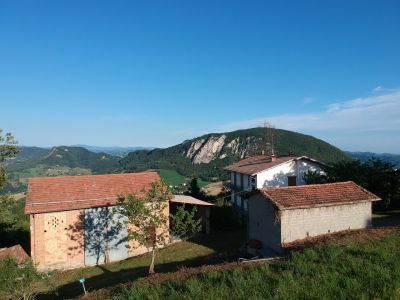 A group of three farm buildings with fabulous panoramic views and an upper floor loggia, close to the village of Valestra, some 40 minutes from Reggio Emilia, the main A1 Milan-Rome motorway and 90 minutes from Bologna airport. 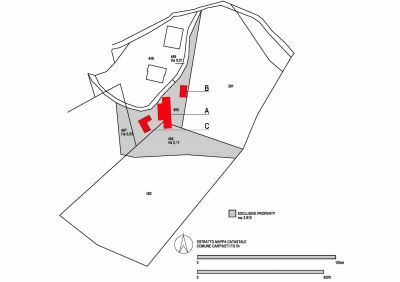 • Huge potential to convert into residential accommodation, subject to obtaining the relevant change of use and planning permissions. • Valestra with its shops, bar, hairdresser, newsagent, small convenience store, petrol pumps and international award-winning Parmesan cheese dairy is 5 minutes away. • Incredible views with possibility of swimming pool - subject to the usual permissions.? Set in the beautiful Emilian Appenines, a UNESCO biosphere, the property is 6 kms from the town of Carpineti with a full range of shops and services. The area is known for its food and wine and is a location for many types of sporting activities including skiing.